Okay, so that post title only works if you mispronounce his name (NA-roo-say is the correct way), but I never was good at titles. All of this is to say that over at CriterionCast, we've gone positively nutty for the largely-overlooked, but supremely talented Japanese filmmaker Mikio Naruse. In addition to my ongoing series on those films of his available on Criterion's Hulu channel, David Blakeslee and Robert Nishimura were kind enough to ask me to join them for the second episode of their podcast, The Eclipse Viewer, to discuss his surviving silent films. Even without my involvement, I'd be happy to recommend the program, into which they put an incomparable amount of work, diving into research and analysis, making for an incredibly informative monthly show. They mentioned to me off-air that their aim is for these episodes to serve as the supplements that Criterion's Eclipse series lacks, and they do a hell of a job at that. It goes without saying that if you haven't waded into Naruse's silent work, or any of his films for that matter, they are an absolute necessity. 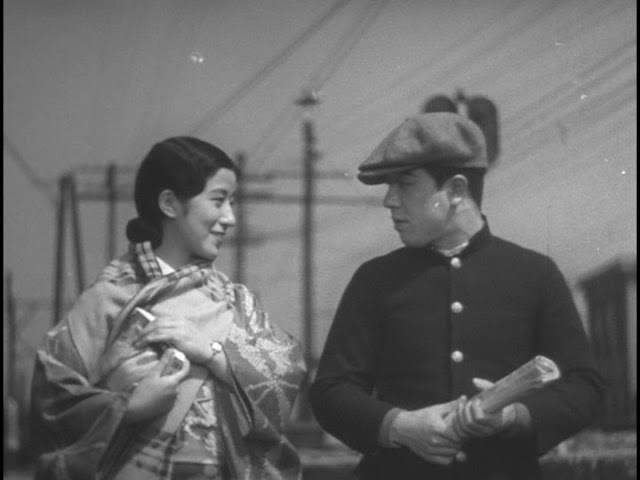 Everyone in the West tends to have "their guy" when it comes to Japanese cinema, and while I love Kurosawa and Ozu (and Mizoguchi, but I'm really just getting started there), I've quickly become overwhelmed by Naruse's passion and formal precision. His silent work is considerably rougher than that which follows, so perhaps start with When a Woman Ascends the Stairs or Yearning and then go back to see where he comes from, but with a little contextualization, few cinephiles would be hard-pressed to not be immediately drawn into these silent films (all of which are also available on Criterion's indispensable Hulu channel). So let me, David, and Robert provide that, and give the latest episode of The Eclipse Viewer a listen. Whole worlds await you.